This is the 4th day of 2018 and temperatures are still insanely cold for this time of year. The NFL playoffs officially begin this weekend with the wild card game starting on Saturday, January 6th, 2018 between the Kansas City Chiefs and Tennessee Titans. Which team are you rooting for or picking to go the whole way to the Super Bowl? We have some new funk for you to check out in this blog post while you wait for NFL wild card weekend to start. 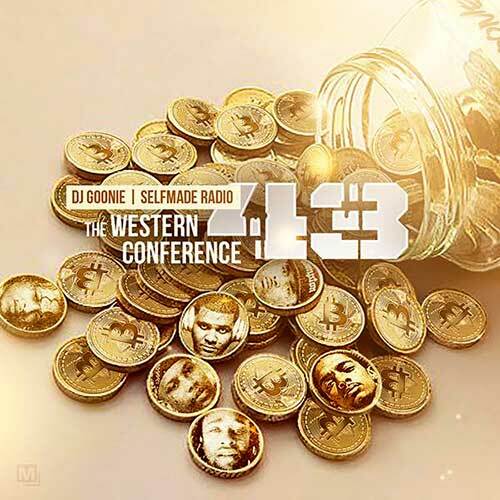 Self Made Radio and DJ Goonie are back with another release consisting of artists from The Golden State of California. 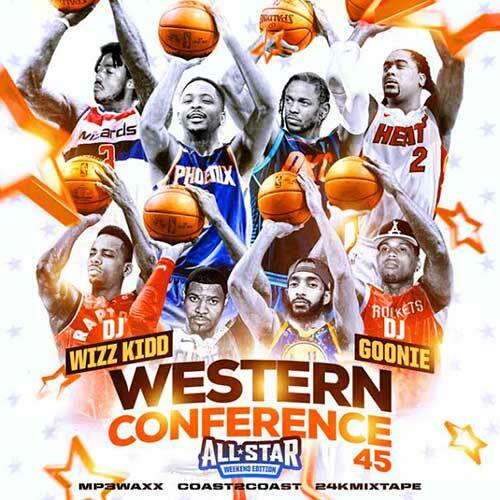 They give the streets volume 43 of “The Western Conference” mixtapes. 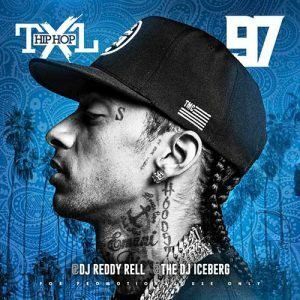 This playlist contains new songs by YG, Kendrick Lamar, G Perico, Snoop Dogg, Nipsey Hu$$le, Wink Loc, Pacmac Da Gunman, Compton Av, Slim400, G Mac, Ken Malik, The Game, Mally Mal, E-40, Berner, Tyga, 03 Greedo, TeeFlii, Baby Bounce, N.E.R.D., Foreign Skrilla, and other industry music artists. 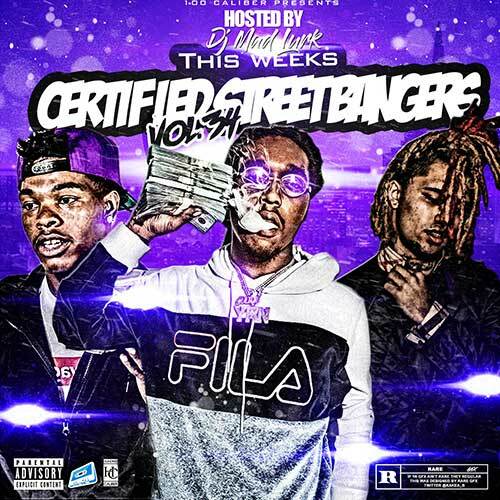 DJ Mad Lurk returns with another edition of the franchise titled “This Week’s Certified Street Bangers”. Number 34 of the collection contains music downloads by Travi$ Scott, Quavo, Kodak Black, Future, TrapBaby, Chief Keef, NBA YoungBoy, TrapBaby, ManMan Savage, Lil Uzi Vert, PnB Rock, Lil Wayne, Ace Hood, Famous Dex, Rich The Kid, Jay Critch, Mack God, Young Mal, Chevy Woods, Wiz Khalifa, Robbie Regal, Don Q, Desiigner, Lloyd Banks, and many more hip hop emcees. These mixtapes always contain a playlist of 50+ tracks, so keep you eyes peeled when this DJ drops. You can find a few new tracks on DJ Mad Lurk’s latest release by southern emcee Gucci Mane. The 1017 Brick Squad Records boss just released another album titled “El Gato: The Human Glacier”. Check out the full streaming release on our site here, or preview the project below through spotify. Finally, Mr. Crack drops the latest installment of the series labeled “Ciroc R&B and Hip Hop”. 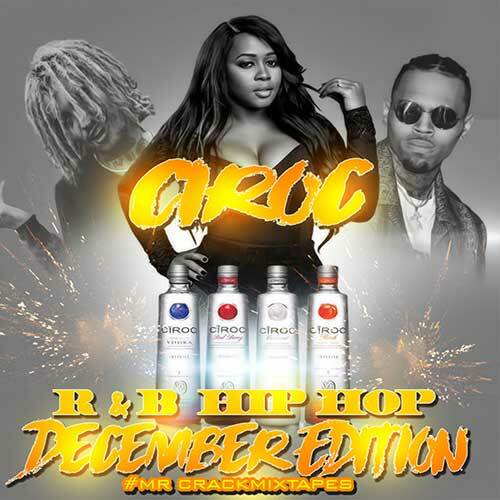 The “December 2K17 Edition” of the collection brings you a track listing of new songs from Lil Pump, Remy Ma, Chris Brown, Jacquees, Gucci Mane, G-Eazy, Jason DeRulo, Bryson Tiller, CyHi The Prince, A$AP Rocky, Migos, Lil Kim, French Montana, BJ The Chicago Kid, Dej Loaf, Tory Lanez, Nicki Minaj, Monty, Fetty Wap, Omarion, DJ Nasty, Uncle Murda, David Banner, and others. Check out all of Mr. Crack’s mixtapes by swiping through the list of them below the audio player. The ridiculously cold temps look to be over this Sunday, finally! Although, currently there is a cyclone of a snow storm heading up the east coast and dumping a ton of snow on Boston. Looks like they can’t win as last season they were dumped on with probably about 10+ feet of snow over only a few days. That is just God’s way of punishing Bill Belichick and his cheating ways. School is set to begin next week for most, but classes have already begun for some. The warm weather is still around, so at least that’s one positive note. It’s also the beginning of football in the U.S.A. with preseason already underway. Will your favorite team make it into the playoffs this year and perhaps get into the super bowl? In any case, we have some mixtapes lined-up for you to check out in this blog post review. Fans of the west coast bop will be more than happy with DJ Goonie’s release of the 35th volume in “The Western Conference” collection. 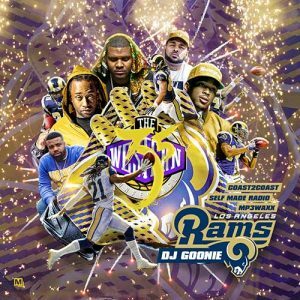 The cover artwork on this drop looks to be a tribute to the Rams as they relocated from St. Louis back to Los Angeles. Many followers of the team in Missouri were disappointed, but it’s always all about the money. This edition of the franchise contains free mp3 downloads by Ty Dolla $ign, O.T. Genasis, Mozzy, Bricc Baby, Roccstar, Nipsey Hu$$le, Snoop Dogg, Kendrick Lamar, YG, Kid Ink, Freddie Gibbs, DJ Mu$tard, Yacc, Kid Cash, and so much more on this 26 song playlist. If you are looking for other products by Self Made Radio, be sure to use the “Suggested Mixtapes” feature located below the audio player on every info page. 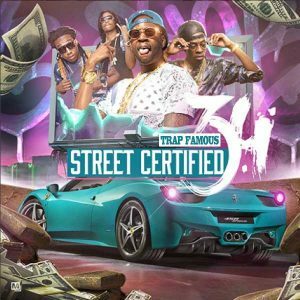 Trap Famous brings you another release in one of the hottest collections to hit the block titled “Street Certified”. Part 3.4 in the series contains music by emcees such as Troy Ave, Famous Dex, Twista, Ghostface Killah, Cassidy, Dave East, Nas, Master P, Nino Man, Gucci Mane, Roc Marciano, The Alchemist, Skooly, Fetty Wap, Hoodrich Pablo Juan, Strap, Curren$y, Big Kuntry King, Lil Yachty, and a gang of other hip hop lyricists on this drop playing you 61 new songs. Be on the lookout for this street team’s drops as their hip hop mixtapes are one of the best franchises currently out. Follow The Future and The Motivator had several new drops over these past two weeks. One of their products contained tracks by longtime popular east coast emcees Fabolous and Jadakiss. These two have been in the game since the 1990’s and are still giving the streets fire lyrics. 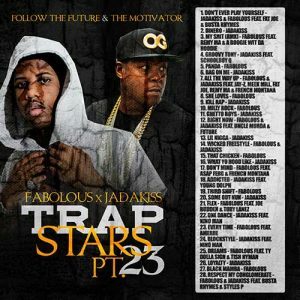 The 23rd installment of the “Trap Stars” collection showcases their newest tracks with special guest appearances by Remy Ma, A Boogie Wit Da Hoodie, Fabolous, Jay-Z, Meek Mill, Fat Joe, French Montana, ScHoolboy Q, A$AP Ferg, Young Dolph, Tish Hyman, Ameriie, Busta Rhymes, Styles P, and many other popular industry recording artists. 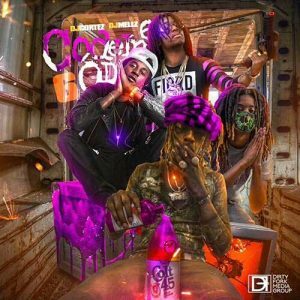 DJ Mellz and DJ Cortez are back as they drop another installment of the “Purple Codeine” mixtapes. 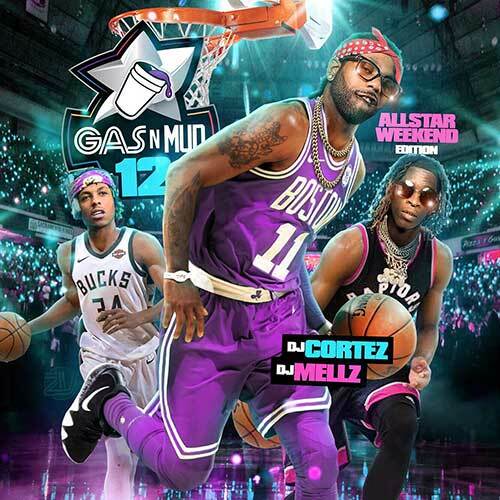 Number 6 of the collection brings you records by Lil Uzi Vert, Ralo, Young Thug, Offset, Johnny Cinco, Lil Yachty, Hoodrich Pablo Juan, 21 Savage, Soulja Boy, Post Malone, Joe Black, Big $ean, Lil Durk, King Reefa, Rae Sremmurd, Scoota Pachino, Yung Gunna, King Reefa, Go Yayo, and more. This is generally a down south series, but as with any track you will find other artists from the many different coasts of rap music. Last and definitely not least is a release for the r&b jams audience. 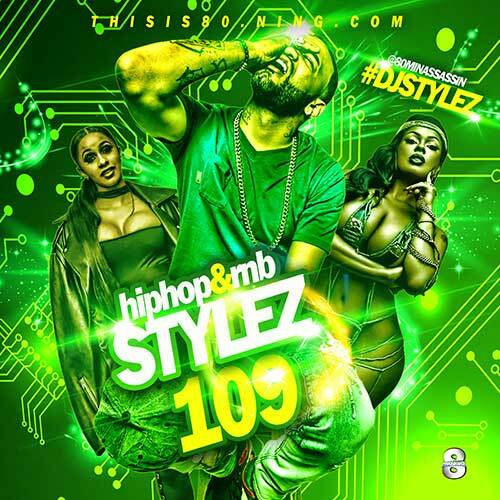 DJ Keyz brings you #29 of the “CKR R&B Collabos” music library. These mixtapes are a mix of industry vocals laced with hip hop funk. 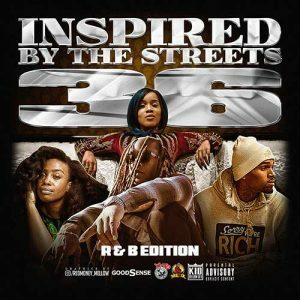 Artists making the cut for this product include Nicki Minaj, Jeremih, Joe Budden, Fabolous, Usher, Drake, Rihanna, Lil Wayne, PARTYNEXTDOOR, Teyana Taylor, The Game, Wale, Trey Songz, Imagine Dragons, and more of today’s popular acts. This review had a little of something for everybody from the west coast, east coast, down south, and r&b genres. There is something to be found for all musical tastes on the site and don’t think we forgot about the reggae heads, you’ll come across that also. Even with these other major online streaming services, our selection of tunes is still 10x better than any other site.